You’re Invited to Breakfast at Max’s for Valentine’s Day! Posted on February 8, 2016 at 8:35 pm. That well known celebration of love is upon us – you know what I’m talking about – it’s Valentine’s Day! – and you’re invited to Breakfast at Max’s on February 13. We’re calling it “baubles, bites and bubbly” because you’ll be able to enjoy delicious breakfast treats to eat and drink from our neighbors at Blackstone Bistro while you shop for all of your Valentine’s Day gifts. In addition to that, we’re having a live MyTalk 107.1 Shop Girls broadcast going on, because it just wouldn’t be the Saturday before Valentine’s Day around here if Allison and Harmony weren’t in the store talking jewelry and chocolate gift ideas. 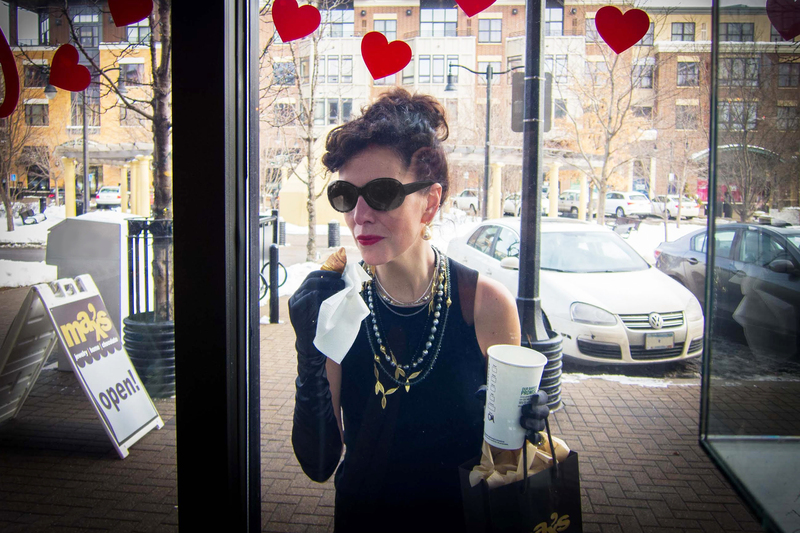 And, while Audrey Hepburn can’t join us (and we do think that our cover girl Kate does a great job at channeling Ms. Hepburn from that certain movie about breakfast in front of a particular jewelry store…..), we certainly hope that you will — no reservations needed! The breakfast fare will be available between 10:30 – 1:00, with the live broadcast taking place between 11-1. As an added bonus, the first 25 people who come for breakfast will receive a heart “token” from that can be redeemed any time on February 13 at Blackstone Bistro for a cocktail of their choosing. I’ve said it before, and I’ll say it again. While many dismiss VDay as being too commercial and simply made up, we choose to embrace the spirit of the “season” as we don’t believe that there is ever such a thing as too much love!